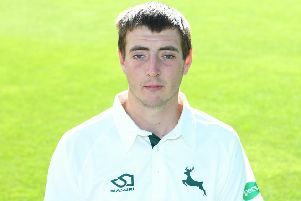 Exciting young batsman Joe Clarke has become the latest player to join Nottinghamshire, after signing a four-year deal. The 22-year-old is one of the hottest young prospects in the game at the moment, and recently helped Worcestershire to the Vitality Blast T20 title. 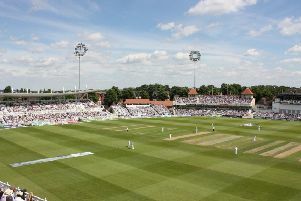 In his career to date, Clarke has amassed over 3,800 runs in 60 First Class matches at an average in excess of 40, including 12 centuries with a career-best of 194 versus Derbyshire in 2016. His record in the white ball arena is equally-impressive, with four further centuries and over 2,300 runs in List A and T20 cricket and a strike rate of 152 in the shortest format. In total, Clarke has managed over 1,500 runs across the 2018 season and Nottinghamshire Director of Cricket Mick Newell is excited about the batsman’s arrival. “We’re very pleased that Joe has decided to join us. He’s a very good young player with a great record already behind him,” said Newell. Clarke joins Ben Slater, Ben Duckett and Zak Chappell in recently signing deals with the club.